Recently released intelligence reports have shined light on how U.S. officials secretly demanded investigations of Charlie Chaplin — portraying him as a dangerous radical. 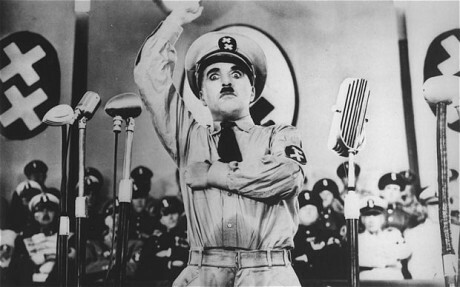 The English intelligence officials at MI5 found no support for our paranoia about Chaplin as a dangerous communist. They also failed to show where Chaplin was born. What they did find did not please U.S. officials. Chaplin always claimed to have been born in London in 1889. However, there was no birth certificate that could be found. American intelligence officials believed that he was a Russian Jew named Israel Thornstein. Others suggested that he was born in Fontainebleau, near Paris. The latest evidence on the question came from a letter found a locked drawer that suggested that Chaplin was born on a gypsy camp in Smethwick, near Birmingham. The letter suggests that Chaplin was the son of a gypsy queen. The records show a far more balanced and mature attitude by the British in dealing with Chaplin and other political activists. In the midst of the McCarthy period, U.S. officials wanted proof that Chaplin was a communist activist. While MI5 found that he gave money to communist causes, they found no dangerous activities. MI5 simply noted that Washington’s claims of communist links “do not impress us.” They found no evidence of “a security risk.” Nevertheless, the U.S. officials hounded Chaplin out of the country and denied him re-entry. 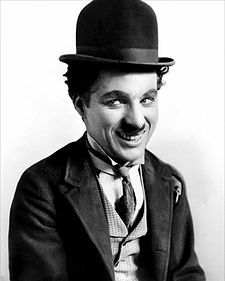 The U.S. also succeeded in blocking Chaplin’s knighthood for twenty years. Who Said Cats Don’t Like Baths? Remember the head of the American KGB was a sexually repressed bigot who hated libertines more than Nazis. British Intel sent an agent to coordinate efforts with the FBI during the war. The guy had some intel that indicated the Japanese were very interested in a shallow water bombing attack run by the Axis. Shallow water like that in Pearl Harbor. When he tried to give this info to Hoover all hoover wanted to do was threaten to have him arrested for violating the Mann act because he took his girlfriend to Miami & they shared a room. (Absolutism: Pabulum For The Insecure?). Little wonder that the NAZI propaganda master Goebbels learned from, and admired his favorite propagandist, a very well respected American, whose propaganda techniques persist today as strong as ever. J. Edgar Hoover was much funnier than Charlie Chaplin when Edgar was wearing a dress and high heels. In a suit….not funny at all. It is Springtime for Hitler in America again. Citizens can be detained without warrant, habeas. Citizens can be murdered if they are considered terrorists. What pray tell is the government of the U.S. requesting of the Brits today? Chaplin was not the guy we needed to fear … often it is wise to look very carefully at the guy telling you what/who you should fear. Who else is on that list? McCarthy was a blight on our country and the FBI still works in the same way. … On the other hand, his mustache provided aid and comfort to the enemy in WWII. The greatest risk Chaplin demonstrated to security was to that of underage girls, whom he serially married.